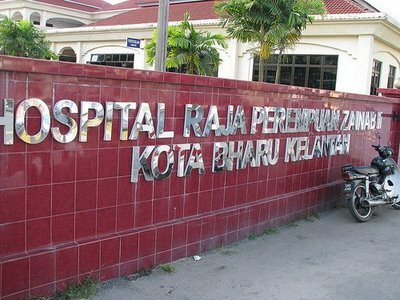 Kelantan Medical Centre: HRPZ II in Chaotic. Security and traffic in King Zainab II Hospital (HRPZ II) were chaos since two days ago when 105 security guards on duty at the hospital went on strike since two days ago. The strike was held as a sign of dissatisfaction against the actions management of a company security guard who allegedly late paying wages. A security guard who refused to disclosed the identity claims, he and his friends often get paid late and not on the date promised by the company that is on 13th day of each month. “The company promised to pay each month 7 days but until now there is no salary. ” My colleagues and I have made complaints in the office of state companies and the management questions, salary will be in, but do not know when, all depending on the headquarters in Kuala Lumpur,”. They are forced to do so when their companies operating in Kuala Lumpur and a branch in Jalan Sri Cemerlang here cannot pat the salaries for the last month which is RM600. In retrospect, the hospital found the situation of traffic controlled by Police and People’s Volunteer Corps (Rela). 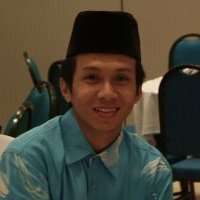 « Kelantan’s Liability: Let’s Kick The Gella.